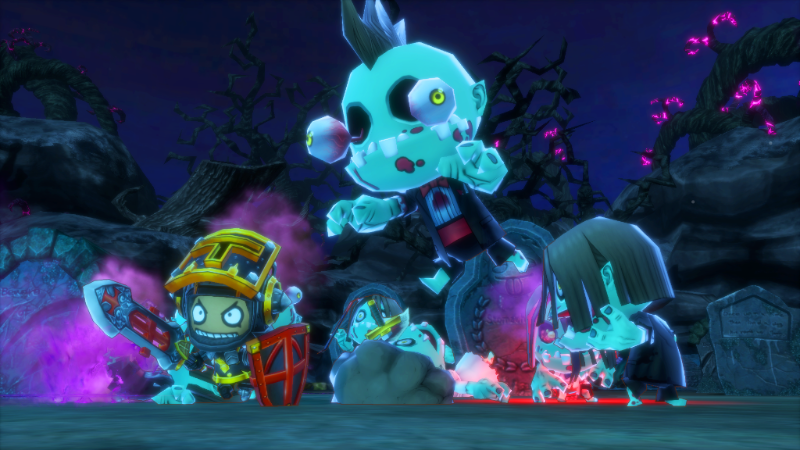 Happy Dungeons Released for Xbox One! Get All the October Update Details! Toylogic Inc. officially announced today that Happy Dungeons has been released for the Game Preview program at the Xbox One Store. Additionally, Toylogic confirmed the details for the game’s October Update, which includes new features, a new Quick Match Mode, new quests, new skills, new minions and other new items for the game, along with a number of improvements and fixes. New Quick Match Mode: Allows players to discover and enjoy multiplayer games more quickly with more streamlined matchmaking protocols and quests suited to the party’s aggregate level. New Legendary Items: An entirely new class of rare and powerful items can now be found with Legendary Items! New Class Skills: Including, “Bleeding Gale Fang” and “Beast Jet” for the Warrior, the Cleric’s “Beast Hex” and “Forbidden Apple” as well as “Beast Repellent” and “Gust Bunny” for the Mage. New Minions: New minions make an appearance, including “Kamilassa”, “Mega Boy”, “Ron Gimmel”, “Sushi Lane”, ” Shiva Dog” and “Poncho Sanza”. New Rare & Epic Equipment: Toylogic has also added a number of new rare and epic class items to the game. New Enchantment Balms: A new variety of consumable item has also been added to the game which provides players with temporary buffs equivalent to the Mage’s enchantment spell. Controller Vibration: Players can now set controller vibration on/off in the option menu. Toylogic plans to continue releasing more updates for Happy Dungeons throughout the year. More details will be revealed later. You can also check out the October Update trailer in the player below.